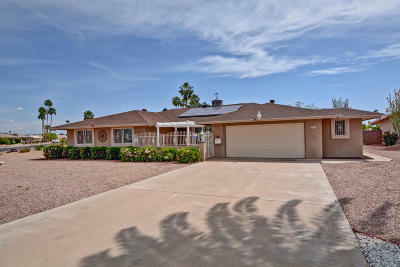 Welcome to Sun City Arizona, the original Del Webb 55+ Active Adult Community! Del Webb had a vision that many thought would never fly. Little did they know as on January 1, 1960 the barricades were removed at the corner of 107th Ave and Grand Ave and the Sun Cities were born as 100,000 people packed the streets to look at the new model homes in Del Webbs Sun City 55+ Active Adult Community. Sun City Arizona has approximately 42500 residents and 26000 home sites made up of Duplexes, Gemini twins, condos and single family detached homes. 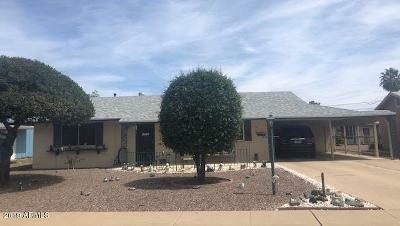 Whether coming to Sun City to escape the cold of your home state or moving to Arizona on a permanent basis, one of the many Sun City AZ homes for sale will fit your wants and needs. 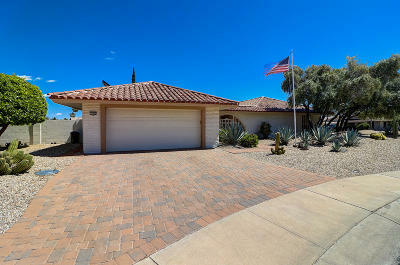 The amenities of Sun City Arizona include 7 recreation centers, 8 golf courses, 3 country clubs and 2 bowling centers. This great community also has clubs, organizations and activities to fill your days with fun and give you a chance to meet others from around the country and around the world. Lake Pleasant recreational facilities are also only about 25 minutes North of Sun City Az for your boating and fishing wants and needs. Many major sports venues are within a few miles of Sun City Arizona of these you have the Arizona Cardinals at Cardinal Stadium, Your Phoenix Coyotes at jobing.com arena. Peoria Az. is the home to spring training for major league baseballs Padres and Mariners. Surprise Az is the home to spring training for major league baseballs Kansas City Royals and Texas Rangers. Glendale Az is the home to spring training for major league baseballs LA Dodgers and Chicago White Sox. All of these major sports venues are within 15 minutes of Sun City Arizona. Sun City is located approximately twenty miles west of Phoenix Arizona. Sun City 55+ active adult community was started in January 1960 and was completed in 1978. The population is approximately 42,500 with 26,000 homesites. There are seven recreation centers, eight golf courses, three country clubs and two bowling centers in the Sun City area.